September 7, 2016 – Forespar Performance Products of California, for 50 years a leading international sailing and powerboat hardware and plumbing systems manufacturer, is pleased to announce the debut of the PureWater+ system at next week’s Newport International Boat Show. The PureWater+ by Forespar boasts an innovative combination of space-saving sensibility with ease-of-use filter changes through a patented quick-connect design all performed above the countertop! The PureWater+ does not require any under-counter filter access or a reservoir apparatus similar to other plumbed-in water purifiers, all with the full protection of standard and optional enhanced carbon-block filtration. According to Scott Foresman, CEO and President of Forespar Products, the introduction of the PureWater+ system serves as their official entry into potable water filtration. “Customer loyalty and trust in our Marelon plumbing systems for non-potable water is extremely solid and we felt it was time to migrate that same quality, innovation and trust into water filtration”, commented Foresman. “The PureWater+ system has already been well-received by many of our OEM’s and we’re excited to have it on official rollout in Newport”, added Foresman. While water filtration is certainly not a limited category, the PureWater+ arrives with a unique “twist” on the old standards. 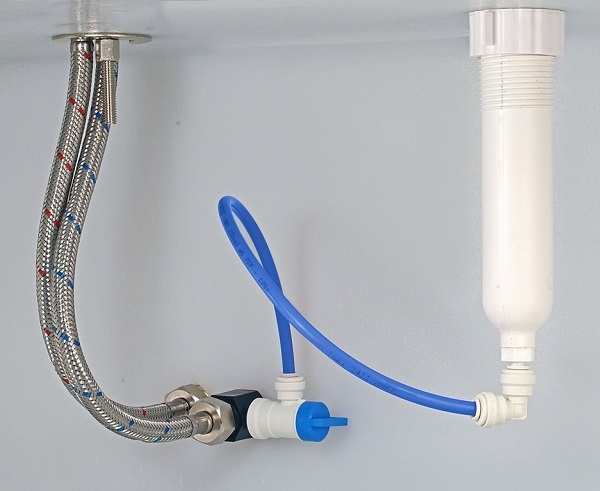 With a patented quarter-turn of the faucet, again done solely above the counter, the filter lifts out, slips off and receives the new carbon filter, especially ideal for space saving on board boats and even RV’s. The consumer units come with an attractive chrome faucet, installation hardware and 1 each of a 5 micron standard carbon-block filter and .5 micron enhanced filter, for added purification. The Newport for New Products program is an annual addition to the Newport International Boat Show showcasing new boat and marine product debuts to the US Recreational Boating Market. Entries are judged on the basis of innovation, value to the consumer and aesthetics, as seen by industry experts. You can see the PureWater+ system on display in the Forespar booth in Tent D, booth 11, and for sale at select dealers in the show.